On May 10, the United States and the United Arab Emirates (UAE) moved to disrupt an extensive currency exchange network that helped fund Iran’s Islamic Revolutionary Guard Corps Qods Force (IRGC-QF), the elite unit responsible for operations abroad. 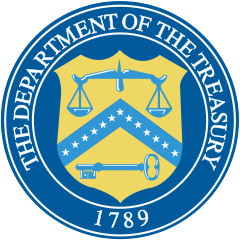 The U.S. Treasury Department sanctioned nine Iranian individuals and entities. “The Treasury Department thanks the UAE for its close collaboration on this matter. Countries around the world must be vigilant against Iran’s efforts to exploit their financial institutions to exchange currency and fund the nefarious actors of the IRGC-QF and the world’s largest state sponsor of terror,” said Treasury Secretary Steven T. Mnuchin. The announcement came two days after President Donald Trump withdrew the United States from the nuclear deal. In a press release, the Treasury noted that the U.S. government “will re-impose sanctions on the purchase or acquisition of U.S. dollar banknotes” by Iran as a result of Trump’s decision. The following is a chart illustrating the network and a press release. Today the United States and the United Arab Emirates (UAE) jointly took action to disrupt an extensive currency exchange network in Iran and the UAE that has procured and transferred millions in U.S. dollar-denominated bulk cash to Iran’s Islamic Revolutionary Guard Corps-Qods Force (IRGC-QF) to fund its malign activities and regional proxy groups. Specifically, the U.S. Department of the Treasury’s Office of Foreign Assets Control (OFAC) designated nine Iranian individuals and entities. Iran’s Central Bank was complicit in the IRGC-QF’s scheme and actively supported this network’s currency conversion and enabled its access to funds that it held in its foreign bank accounts. This network of exchangers and couriers has converted hundreds of millions of dollars.